The Evangelical gospel asks, “Are you certain you are going to go to heaven when you die?” The Christian objective seems to be to secure a place in heaven, but the Bible says very little about heaven. Find out why most passages about heaven are actually not about heaven at all in this installment on the basic teachings of the Messiah from Hebrews 6. He’s talked before about what I call the truncated gospel message of Christianity which basically says, “Believe in Jesus so you can go to Heaven when you die.” That’s the whole point of being a Christian for many believers. The other part of it is to convince as many people as possible to believe in Jesus so they can go to Heaven when they die. Except, you don’t go to Heaven when you die and you don’t stay in Heaven forever as a disembodied spirit after you die. According to Lancaster, and I agree with him, there’s a lot of confusion about Heaven in Christianity, especially since the Bible doesn’t spend a lot of time talking about Heaven. If you are a traditional Evangelical Christian, that statement might seem confusing. After all, didn’t Jesus and the apostles talk about Heaven all the time? Also see Philippians 3:20, Colossians 1:5, and 2 Timothy 4:18 and many other verses in the apostolic scriptures that mention Heaven. Except the Heaven mentioned in all or most of these verses isn’t the Heaven in the sky where God lives, it’s what’s called a circumlocution, a way of talking about God without saying “God.” In other words, when Jesus said “Kingdom of Heaven” as recorded in Matthew’s gospel, he was really saying “Kingdom of God,” and that Kingdom will finally be completely established here on earth when Jesus comes back as King and Lord. 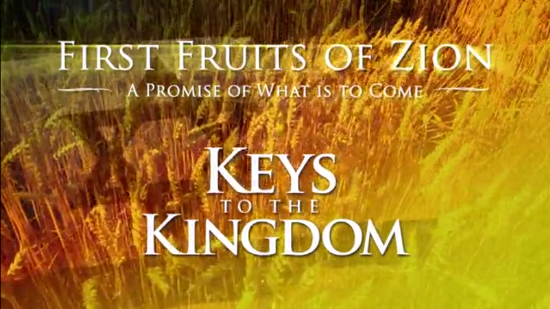 The First Fruits of Zion (FFOZ) television series A Promise of What is to Come contains a number of episodes that discuss what the Kingdom of Heaven is, where it is, how it works, why Peter has the keys of the Kingdom, and how treasure can be stored there. See episodes such as The Kingdom is Now, Seek First the Kingdom, Thy Kingdom Come, Keys to the Kingdom, Foretaste of the Kingdom, Treasure in Heaven, and Restoring the Kingdom for details. Each episode is about thirty minutes long and the content opens up and expands in great detail about the concepts Lancaster covers in his sermon. In fact, Lancaster seems to be summarizing all of that material in his thirty-four minute lecture today. Just a couple of things. Philippians 3:20 talks about Christians having citizenship in Heaven. Does that mean when we die, we go live in Heaven as citizens, like how we have American citizenship (or whatever national citizenship you may have)? No. We are resurrected physically on earth and live here in bodies in the Messianic Kingdom. Our citizenship may be in Heaven, but we’ll be living here. After all, Paul was born a Roman citizen but he wasn’t born in Rome. He never even lived there, at least not until near the end of his life. According to Lancaster, there is a paradise, a Gan Eden (Garden of Eden) where the spirits of the righteous go when the person dies, but that’s temporary. The spirit is reunited with the body at the resurrection. Remember the empty tomb and Jesus? This is the resurrection we can expect, because Jesus was the first fruits of the dead (1 Corinthians 15:20). We will also be resurrected in our original bodies (remember, Jesus still had the wounds, he didn’t get a new body) but we will not die again. This is what we can expect after we die and are resurrected, not going to Heaven like Casper the Friendly Ghost to float around on clouds for eternity. Since I’ve watched all of the FFOZ television episodes I mentioned above, I already had a pretty good idea what Lancaster was going to teach about. Lancaster based a number of things he taught on the writings of Christian theologian N.T. Wright, as well as his own teaching What About Heaven and Hell. Lancaster also said that the reason Christians are so confused about Heaven and Hell is because Christianity separated itself from Judaism, and thus from the first century CE Jewish view of the meaning of the resurrection. He even went so far as to compare typical Christian understanding about what happens when we die to how the gnostics saw the dichotomy between the earthly corruptness and heavenly purity. Generally, Judaism doesn’t have “issues” with a flesh and blood physical existence (unless you get into Jewish mysticism, but that’s another story). I see these comments as a continuation of the points Lancaster has made in other sermons in this series. He seems to be advocating a return to Judaism (specifically Messianic Judaism) for believers in Jesus, with an eye on first century C.E. Judaism. While the idea has merit, it’s important to remember that as the various Judaisms evolved over the last two-thousand years, they likely also do not contain perfect interpretations of the scriptures and probably possess a few misunderstandings of their own. We can all do the best we can to understand what God is saying to us in the Bible, but when Messiah returns, I suspect he’ll have to correct us in a few of the details of our doctrine and theology. Is our hope in Heaven? It depends. If we put our hope, according to Lancaster, in being a “floaty ghost” in Heaven when we die, then no. If, on the other hand, we put our hope in God who is in Heaven (yes, Heaven is real), then yes…our hope is in Heaven, our hope is in God. This too is one of the elementary teachings of the faith, as stated by the writer of the epistle to the Hebrews, one of those “milk” things. I’ve become quite accustomed to the belief in a physical resurrection and an existence on earth as part of the literal Kingdom of God with King Messiah reigning on the throne of David in Jerusalem, so I didn’t experience any surprises or curve balls in today’s sermon. If, on the other hand, you are an Evangelical Christian who has been taught you’re going to become a “floaty soul” on a cloud playing a harp for all eternity when you die (actually the harps seem unescapable in Heaven based on Revelation 5:8, 14:2, and 15:2), then you might want to listen to Lancaster’s sermon or, better yet, spend a few hours viewing the selection of TV episodes I mentioned above (just click the links and view them online). Previous PostGrieving with IsraelNext PostBalak: What Do We Do When Israel Is Cursed? I’ve been thinking about these same things myself lately and I have been enjoying your posts. There are a lot of people who are not happy in this world and the idea of going to “heaven” – the “floaty ghosts” “playing a harp” and everyone gets a mansion kind of heaven, is seen as their chance for happiness. The idea that “heaven” will be here, on earth, makes it sound like “heaven” will be more of the same that they already have here. For someone who is well-off and happy here on earth, the idea of more of the same is wonderful, but for someone who is poor, struggling, lonely, whatever, the idea of more of the same is distressing. The tragic irony in all that is living in the resurrection when King Messiah has redeemed Israel and established his reign of peace in the entire world has not only been God’s plan from the beginning, but it will be such an amazing experience to live in a world with Christ in it as our Monarch. Why resist that? I have a theory, James. I think that the reason so few Christians imagine an earthly kingdom of G-d is because when one reads the Jewish prophets, that kingdom appears way too Jewish. The Jewish people are regathered and honored, the nations are punished for their abuse of Israel, the promised Davidic king himself bringing sin sacrifices into the rebuilt Temple and even has sons (princes) of his own, the supposedly ineffectual bloody sacrifices are resumed by priests and Levites, the nations are required to come to Jerusalem and worship G-d there at the pain of punishment (instead of anywhere, as Jesus predicted in John). Where is the Church that the Christ died for, Christians ask? It’s easy to see why the predictions of the prophets are not given much heed. There are even more reasons for this. Why is it, even though the Gospel was supposedly by then preached to “every creature”, all the nations will be coming and admitting that they inherited things of no profit from their fathers and worshiped gods that were not gods, asking the supposedly “blind” Jews to lead them to the true G-d. This is why Christianity has historically held a supersessionist view – to Christians the imagery of the prophets was unacceptable when taken at face value – the allegorical interpretations, including those already put forth in the NT, prevailed. The regathered Israel are actually Christians, the rebuilt Jerusalem is the Heavenly New Jerusalem of Revelation composed of all believers, and the grandiose Jewish Temple foretold by Ezekiel in great detail – well, there’s will be no Temple in Jerusalem according to the author of the book of Revelation (Revelation 21:22-24), since Christ himself is already the Temple. This is why Christianity has historically held a supersessionist view – to Christians the imagery of the prophets was unacceptable when taken at face value – the allegorical interpretations, including those already put forth in the NT, prevailed. This is why I write as I do. There’s a huge “mismatch” between the Tanakh and the Apostolic Scriptures. Obviously, you and I have different opinions about why the mismatch exists and what to do about it, but from my perspective. the various gospels and letters that make up what we now call the “New Testament” were originally understood to be “good news” for Israel first and foremost, the announcement that a sort of “downpayment” had arrived and an inauguration (but hardly the full fruition) of the New Covenant had begun. As far as Rev. 21:22-24 goes, I think that describes, not the Messianic Kingdom as we understand it, but some point beyond and into eternity, when we go off the other end of history’s map, so to speak. In the beginning, the very beginning in Gan Eden, there was only man and God. I think that’s how it’s going to be in the end, which includes no further need for the Temple…but I believe that’s not for a long, long time to come. But do the Jewish prophets support such a “downpayment” scenario, where the redemption is intangible and purely spiritual, where the supposedly redeemed behave not much better than they did before and actually become enemies of Israel, the people to whom the redemption was promised in the first place, and when the redemption actually bypasses Israel altogether except for a small number of Jews who worshiped Jesus in the first century? Does not Amos 3:7 tell us that “Surely the Sovereign L-RD does nothing without revealing his plan to his servants the prophets.”, while Paul in Romans 16:25 claims that his gospel is a “revelation of the mystery hidden for long ages past“? Gene, I don’t think it’s profitable for us to enter into a debate about whether or not Jesus was/is the Messiah. I know what you believe and you know what I believe. Neither one of us is likely to change his opinion based on an exchange of blog comments (we’ve both been there in these debates before). I can only tell you that my opinion about why the Torah and the Prophets weren’t exquisitely detailed regarding the Messiah is recorded in When Israel Asked for a King, which I believe you’ve read already. My understanding of how the New Covenant works was developed over many months of study but can be summarized in my review series on D. Thomas Lancaster’s lectures What About the New Covenant (the first review in the series starts here). I know in my opinions, in some ways, I’m setting myself apart from both traditional Christianity and traditional Judaism, but that’s what seems to be necessary in order for me to understand who the entire (Christian) Bible works together. OK, James. The point I was leading to is not to argue about the candidacy of Jesus (and if you note, I did not), but to point out the Christian spiritualization of promises made to Israel (including what the Redemption is and is not and what is the New Covenant exactly and what it is not), had directly led to the spiritualization of G-d’s Kingdom as being spiritual and inhabited by “floaty ghosts”, as you called them. I agree. The spiritualization of God’s promises to Israel and being recast as applying to “the Church” by early Christian allegory is completely invalid exegesis. Sadly, even more “literalist” churches who reject allegory still suffer from the “after effects” of their mischief. First of all, “sod” is a kabbalistic concept, not a “rabbinic way of teaching”. Christians have not studied Kabbalah and are not qualified to extract ideas from it or especially apply it to Christian concepts, something that Jews consider misappropriation. Kabbalists delve into mysteries of G-d’s nature and how he reveals Himself in hidden ways (many Jews do not share kabbalistic ideas and many consider some of those ideas as bordering on paganism), and NOT prophecies of actual events and concrete plans of G-d’s (e.g. creation of Church) , the way Paul describes his “mysteries”. Ps. 25:14, The secret (sod) of the Holy One is for those who fear him; he will show them his covenant. I can’t say this is referring to Kabbalah, but it is interesting. It seems this entry into the sod is not based upon ethnicity or religious affiliation, but the willingness to yirat hashem. Many practices among Jews have been appropriated from people groups we lived among, so who can throw stones when others do the same? Certainly all rabbis of all stripes do not teach or delve heavily into Kabbalah, but some, such as Hasidim, do. He is not waiting to be crowned King or enthroned. There can be no future ascending to the Throne of Israel to “take up the Throne of David.” He was born on that throne and it is eternal. The Kingdom of G-d is in the earth. Always has been. We should not confuse our debt and its reconciliation as though G-d does not reign. Blessed is he who comes in the name of the L-rd! Well, yes and no. If this is the Messianic Kingdom, then why does Jesus have to come back. If this is the best of everything and all of the promises of God, 100% of them, have already been fulfilled, if this is the best that Creation is going to get, I want my money back. Seriously, the death and resurrection inaugurated the Messianic Kingdom and Messiah’s rule, but it hasn’t reached fruition yet. One of my reviews of an earlier “Hebrews” sermon called The Partisans explains how that works (whether that’s an acceptable explanation or not). Revelation 22:20 says Jesus is coming soon. It doesn’t say he’s here already. @Steven — Since your post included a great many patently inaccurate assertions, I am reproducing much of it here in an attempt to answer you, in hope of showing you a clearer manner of thought that does not confuse the promises for which we faithfully hope with our existing present reality, nor confuse the heavens with the earth due to figurative terminology. Assertion 1: We already live in a world where Yeshua is our Monarch. Response 1: While there are people presently alive who acknowledge Rav Yeshua’s teachings as authoritative in conducting their own lives and whatever sphere of influence they may administer, Rav Yeshua himself is not physically present at this time that he might administer the monarchy that is to be ruled by Messiah ben-David. That monarchy is not currently in operation; nor are any of the nations of this world acknowledging subservience or allegiance to it (as they will when he does come to rule with the authority that HaShem has granted to him). Response 2: No one is “born on a throne”. The eldest son of a reigning monarch may be described as “born to the throne”, i.e., as one who will one day become king. The relationship between the kingdom of G-d and the throne of David is not one of identicality, so the verse you quoted is entirely our of context. Assertion 3: He is not waiting to be crowned King or enthroned. There can be no future ascending to the Throne of Israel to “take up the Throne of David.” He was born on that throne and it is eternal. Response 3: HaShem is King over all kings, but Rav Yeshua will be enthroned as King Messiah at a time that has not yet arrived — just as the messianic monarchy also has not yet been established physically as per various prophecies. This monarchy has been planned and described, but it remains to be implemented. And again, one must distinguish between HaShem’s ancient “throne” or rulership in the heavens, and that of the King Messiah on the earth. Response 4: See Response 1. Assertion 5: G-d rules in the Kingdoms of men. Always has. “And said, O LORD God of our fathers, art not thou God in heaven? and rulest not thou over ALL THE KINGDOMS of the heathen? and in thine hand is there not power and might, so that none is able to withstand thee?” The greatest of Kings was taught this lesson, “till he knew that the most high God ruled in the kingdom of men, and that he appointeth over it whomsoever he will.” The Kingdom of G-d is in the earth. Always has been. We should not confuse our debt and its reconciliation as though G-d does not reign. “The Lord hath prepared his throne in the heavens; and his kingdom ruleth over all.” Blessed is he who comes in the name of the L-rd! Response 5: See Response 3. As in Ps.110:1, two degrees of lordship must be kept distinct. The blessed Lord who comes in the Name of THE L-RD is not coming in his own name but rather that of One Who sent him, and therefore is not himself the One Who sent him. The throne of earth is not the throne of the heavens, though in the idealized messianic kingdom these two thrones will be so synchronized in their agreement one with the other as to be virtually one though not in actual fact the same. Can you really be part of the Church and not know that Yeshua is King of Heaven and Earth? Oh my goodness, Steven, how long have you been trying to study the scriptures without any appreciation for the limitations of English translations and the figurative phrasings of the idiom in which they are written? 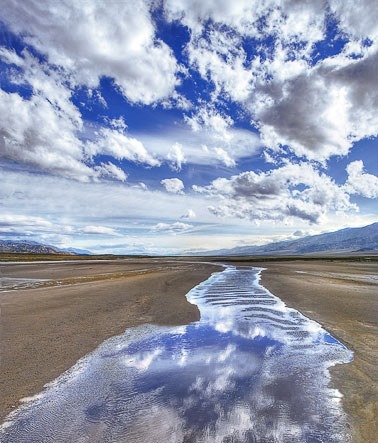 The relationship between Rav Yeshua and the heavenly Father do not change over the course of time, but their “oneness” is one of agreement and not of substance. A baby is not a king, but can be born with a destiny to be king, and that is all the Greek text is saying in the wise mens’ question about one born (to be) king of the Jews. Rav Yeshua may represent the resurrection, and a few like Lazarus and the righteous witnesses at Yeshua’s death have experienced temporary resurrections, but the general and permanent resurrection spoken of in Rev.20:5-6 (and 1Thes.4:16) is still a future event. “Seeing the Father” in Rav Yeshua as a present event 20 centuries ago does not mean anything more or less than the similar idiom in modern parlance when a child is “the spittin’ image” (elided from an original phrase “the spirit and image”) of his Father; and the arrival of Rav Yeshua in Jerusalem riding a symbolic donkey does not mean that his kingship therein was about to commence at that time. In fact, not long afterward he noted that his kingship was not of this world (implicitly meaning “at that time”), and because of that fact his disciples were not taking up arms to start a political rebellion in response to his arrest. His message and ministry at that time were those of the ben-Yosef “Suffering Servant” Messiah, with an emphasis on the ephemeral “kingdom of heaven” rather than the ultimate Jewish kingdom on earth, depicted by prophets like Zechariyah and Yehezkel, that he would rule from Jerusalem as the ben-David conquering king Messiah. However, the Sanhedrin members of his time, and also Pontius Pilate, were already confused enough without trying to clarify for them that Rav Yeshua’s ultimate role as “King of the Jews” was not for them some immediate political threat; though that was exactly the justification used to execute him. History and its progression are important, essential, crucial concepts to understand as the backdrop to all prophecy, of the past and of the future. Time and space are important; and the physical throne on earth that is authorized by G-d for the ultimate descendant of David can be spoken of as G-d’s throne even though it is absolutely not to be conflated with the notion of the heavenly throne of G-d. We have here an analogy to the earthly and heavenly sanctuaries cited in the letter to the Hebrews. The heavenly presented a pattern to Moshe Rabbeinu from which he formulated the earthly Tabernacle which was later solidified in the form of the Temple. The heavenly one provides authority for the operations of the earthly one, even when history and politics prevent the earthly one from operating or even existing, as during both the first and second exiles of Israel’s people from their land. Thus also we must distinguish the throne on earth from the throne in heaven, despite their intimate interaction and agreement. HaShem alone is King in the heavens; and He appoints kingship on the earth in accordance with His purposes and to accomplish them. This is where the Messiah comes in as His appointed representative and His “right-hand man”. This is why Messiah is spoken of as seated at the right hand of the Most High (not seated in His Place as if to usurp His position). Note that this also is a figurative description of relative positions that will continue to be applicable even when Messiah will be physically seated on the throne of the millennial kingdom in Jerusalem. As Rav Yesua noted in another context, that which is flesh is flesh and that which is spirit is spirit. We have a continuing responsibility to discern which is in view in any given scriptural passage. Looks like we have a solid clash between traditional Christian theology, which tends to somewhat overly mystify the Kingship of Messiah, and what (in my opinion) the Bible actually says. Messiah is King and the Davidic throne is established, and while Messiah may be fully, totally, and completely glorified in the Heavenly court, you can hardly say that “every knee has bowed” on earth yet. It’s not finished. He has to come back. That’s inescapable. You will find few gentiles who are willing to admit to the pre-eminence of Israel, rather than the church, in the end of days. I suspect that is one reason for the popularity of the pre-trib rapture, which has little validation. Those who see the role Israel plays and the prophecies and promises need to figure out a way to keep the church as top dog. There are three consecutive destinations ahead for believers who remain faithful. Two are temporary, the third is everlasting. 3) The new heavens, new earth and the New Jerusalem where God will make His everlasting home with those of mankind who maintained faith in His Son. There is one ultimate destination for the rest: the lake of fire. Consider Rav Shaul’s comments to the Corinthians in ch.5 of his second letter, in which he envisions two states of being. One is present in a body but thereby somewhat absent or separated from HaShem, and the other is absent from the body and present with HaShem. He offers no indication of any waiting period; and, in fact, suggests that any such period of being “unclothed” outside of either a burdensome earthly body or an immortal incorruptible heavenly body is undesirable. Also, in ch.15 of his first letter, he had already described the process of transition from one form to the other, at the first resurrection or the immediately subsequent rapture (see also 1Thes.4:17). This picture is quite contrary to the “floaty ghosts in heaven” imagery, and rather suggests that the after-death experience takes us immediately outside of time to face HaShem and snaps us right into the future where we obtain new bodies and join with the returning Messiah as he is about to begin the battle to establish his kingdom. From this alternative perspective, no one is hanging around in heaven for any length of time , not even Rav Yeshua nor any of the early disciples. All of us would face the identical process with virtually no time-lapse between death and resurrection, regardless of how much time might pass on the earth within the familiar space-time framework. Humans were not designed to live in heaven for any length of time (though certainly it’s a nice place to visit [:)]); it is the earth that was designed to be a habitation suitable for humans. Even when the present heavens and earth will be replaced with new ones, earth will still be the abode of humans and even the heavenly Jerusalem will be there. Just a few points to ponder…. PL, I’ll stick to pondering what scripture says and not in trying to find ways to explain why it actually doesn’t mean what it says. I also prefer to stick with what scripture actually says and not present speculation as spiritual “fact” – such as your concept of being “taken out of time”. My dear “O” — It doesn’t require much speculation to attempt to resolve what must most likely occur when being absent from the body is to be present with the Lord while not remaining “unclothed”, when the process and timing of providing such “clothing” is described explicitly. I wasn’t challenging your “third destination” (except, perhaps, for viewing it as rather a second one). We’ve probably exchanged views previously on the subject of how one pursues the notion of “what the scriptures actually say” as distinct from what a lot of folks think they appear to say. I agree that we should pursue the former, despite the need to explain why the latter is not correct. And sometimes we need to compile several passages that address a common event in order to resolve the overall picture of what is happening. I didn’t invent the notion of timelessness or existing outside the constraints of time with respect to heavenly realms or operations. It has been implicit in the scriptures all along, it has been noted in Jewish thought and literature, and it has been known to inspire more than one Christian writer. Is it really so outlandish that I should invoke such a notion to resolve that bigger picture? I love your taking up this discussion, James, if simply due to the fact that the tired old patented views of “Heaven,” the resurrection, etc., are challenged, an alternative offered. I am excited and inspired simply by a challenge being brought to the status quo, as this opens the door back up to God’s ways being so much higher than ours. I’m very worn out by the uber-confidence of Evangelicalism in its own teachings. Very claustrophobic. I was drawn to Messianic teaching for this reason and am still enthralled by the possibilities it allows to exist. I honestly didn’t think this one would “go the distance”. Typically, my reviews of Lancaster’s “Hebrews” sermons don’t attract as many readers as some of the other things I write about, but this one seems to be going through the roof. I will say that I’ve already listened to the next sermon in the series, “The Resurrection of the Dead” and if you think this “meditation” is thought-provoking, wait until next week. I think you’ll find that’s what I said above in the third (and everlasting) destination that I listed, though maybe I didn’t make it clear enough that God and man will reside on the new earth. However that should be clear enough to those who go to the Bible and read what scripture says about the new creation. Interesting pilpul here. If he has set eternity in the hearts of men, then there is a part of us that right now is touching a world outside of our time and space continuum. Death unburdens us from all constraints. I can understand a movement from time to timelessness and back to time and then back to timelessness. If a person’s relationship with heaven is based upon a few rigid doctrines; all it takes is knocking down the beliefs one by one until you have a table with no legs that comes crashing down. Imagine if our human relationships were like this, and I suppose our superficial and temporary ones are. I would rather search for unity and coherence than disparity, and am aware that you usually find what you look for, and perhaps fail to see anything else. Studies have proven this out. Tell someone their neighbor has a criminal record, and they will see and interpret observations in that light. Tell them that same neighbor is a retired macher with accolades following, and they will see that too. Food for thought. There’s a tendency to turn the Bible into a straightjacket that allows no variability of understanding how God works. This is very true in the church I attend where some people believe that there are no mysteries in the Bible and worse, nothing particularly mysterious about God or the divine nature of the Messiah. While I agree we must continue to study and I never fail to discover new insights in the Bible year by year, I believe that an infinite God cannot be 100% understood by a finite mortal mind, even under the inspiration of the Spirit of God. How does one grasp infinity? And the sod is for those who fear him. Good thought, “bible as straight jacket.” The straight jacket is man made, weaving together truth and lies, which appears to create an exceptionally strong fabric. I think Judaism and Christianity have a fundamentally different approach to the “unwashed masses,” problem. Judaism teaches the masses how to make soap and dig wells, while Christianity’s elites guard the wells and the soap recipes.